Enjoy a litre of your favourite slushies at home, created in minutes! Click here to see our delicious Slushie Syrups or our Slush Puppie Cups & Straws! On a hot summer’s day, there’s nothing quite as refreshing as an ice-cold Slush Puppie. Delightful flavours and tongue colour changing capabilities make it a treat for all ages and now you get to enjoy them in the comfort of your own home. 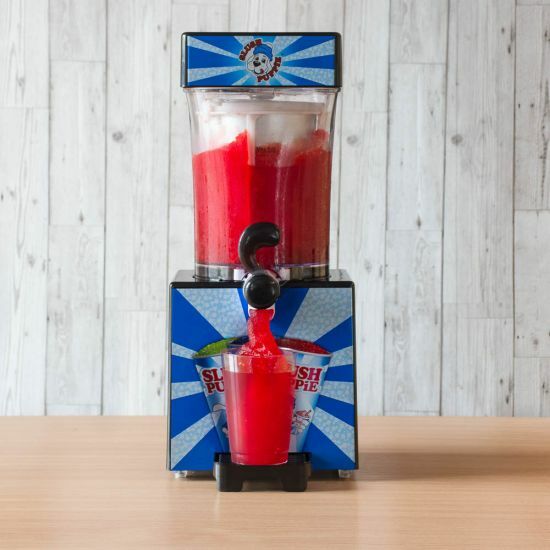 The Slush Puppie Machine is an officially licensed scaled down version of the ones we all know and love. The perfect size to pop up onto the kitchen counter whenever you fancy and easily powered up with the included UK mains plug, you can create your own inventive and unique or classic and delicious Slush Puppies from home. 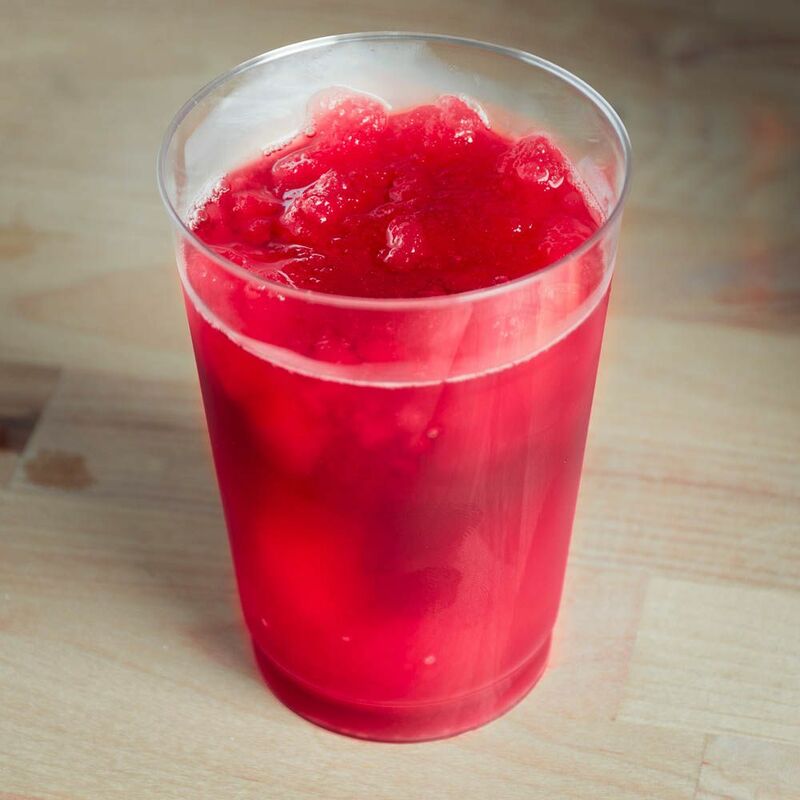 All you need to do is add some tasty syrups, ice, water and some salt to get the Slush Puppie party started. Then, just leave the Slush Puppie Machine to do its thing, topping up with ice every so often and after 15-25 minutes your litre of ice cold drinks are ready to be enjoyed. Just flick the switch to dispense mode and twist the nozzle to serve up a cup of ice cold refreshment. Click here to see our delicious Slushie Syrups or our Slush Puppie Paper Cups & Straws!